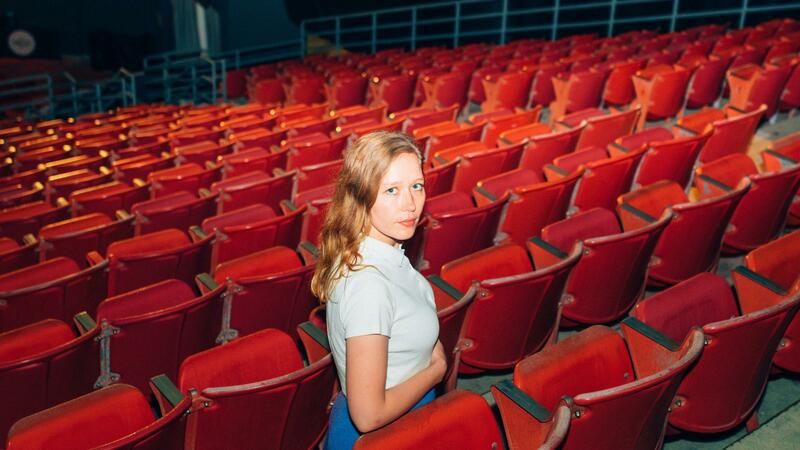 Julia Jacklin's Crushing comes out Feb. 22 via Polyvinyl. In rare moments, it's possible to emerge from chaos with absolute focus. It could be on a battlefield, in a sports arena or at a hospital, but in reality, it can happen virtually anywhere. Julia Jacklin had her big moment on a tarmac in Sydney. That's where her second album Crushing begins, with one of the most chilling breakup songs you'll ever hear. The simmering five-minute opener, "Body," finds the Australian singer-songwriter recounting the childish antics of a significant other who'd gotten her kicked off a domestic flight. "I threw my luggage down," she sings, the disgust palpable in her voice. "I said I'm gonna leave you / I'm not a good woman when you're around." A sense of liberation follows until the song takes a disturbing turn in its final act, when Jacklin recalls the existence of a photograph that might give her partner an opportunity to humiliate her. Fearful of retribution but undeterred, she drives away in a cab, intent on reclaiming her sense of self — and literally, as she repeats throughout the album, her body. Jacklin is tight-lipped about the details of the largely autobiographical song and the relationship that inspired most of Crushing. "It happened, in a way. It definitely did not come from my imagination, unfortunately," she recently told opbmusic. But the album's vivid lyrics don't require much interpretation — and according to Jacklin, that was a conscious decision. "I used to go over every single line I'd written and figure out the best way I could say that and try and cover things up a bit with metaphors and poetic lines," she says. "With this [collection of songs], I didn't over-edit them as much as I used to, because I wanted to get to the core of what I was trying to say." 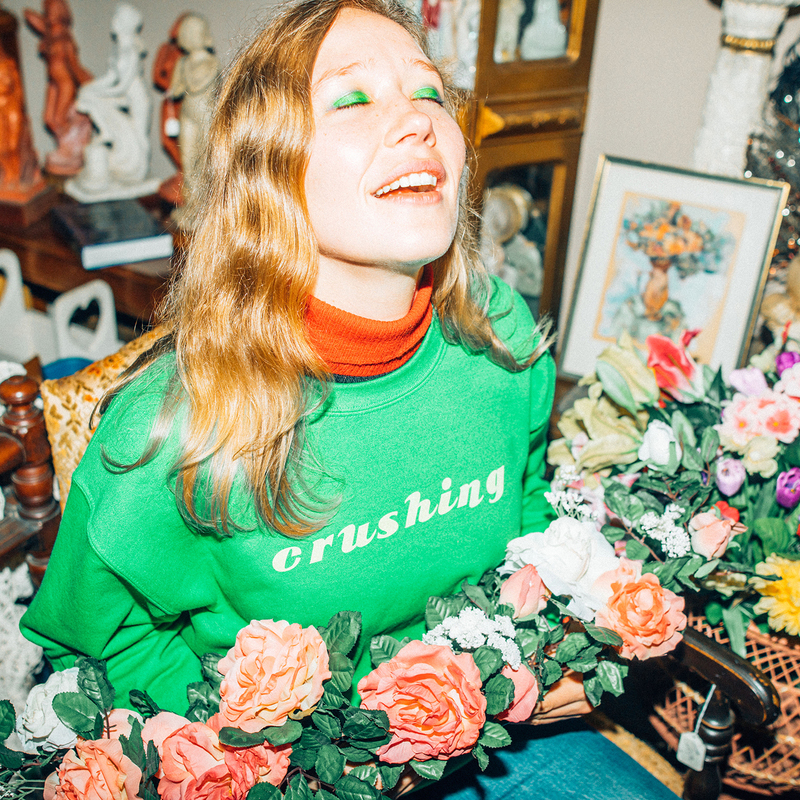 Crushing rejects complex production in favor of clarity: Jacklin's subtly powerful voice sits way up front in the mix, largely untouched by reverb or effects, which lends it an appropriate sense of vulnerability. Although her guitar stands out — it's influenced by early rock and roll and wrapped in a warm blanket of clean tones — the instrumentation largely serves as a platter on which her lyrics sit. And there's plenty to chew on here. "Head Alone" is a defiant anthem that rejects smothering intimacy. "I don't want to be touched all the time," Jacklin sings over building guitars before underscoring her independence with the emphatic refrain, "I'll say it till he understands / You can love somebody without using your hands." But what makes Crushing so remarkable isn't just Jacklin's fearlessness and strength, which she reveals in abundance. It's also her uncanny ability to express the doubt and complex, sometimes contradictory emotions associated with a breakup. In the frenetic "Pressure to Party," Jacklin chronicles the pitfalls of reentering the dating pool as she trudges through often-unsolicited advice from well-meaning friends. The sweetly sad "Good Guy" finds her searching for a physical connection in order to stave off the numbing effects of isolation. "I don't care for the truth when I'm lonely / I don't care if you lie," Jacklin sings in a spent whisper, almost taking pity on an apprehensive stand-in. "Come on, breathe in, breathe out, you're still a good guy,"
But as Crushing progresses, she slowly comes to terms with the notion that clarity and focus are fleeting. "It makes you realize how much every day can be so different for someone," Jacklin says about what she insists was an unintentional arc on the album. "One day, you can feel so strongly about how you're going to be after you've ended a relationship. And then the next day, you could just totally crumble. ... That kind of trajectory can be really unpredictable." Crushing is filled with moments of brutal honesty, confusion, relief, resiliency and regret — all of which double as a source of comfort to the songwriter. "I think, in writing it, I realize how not very special I am, which is really nice to feel," Jacklin says. "Everyone has experienced this in some way or another." Copyright 2019 opbmusic.org. To see more, visit opbmusic.org.